In issue 29 we produced with due acknowledgement material supplied by the record company issuing material by Jenn Bostic. This month we offer a review of her latest work. There’s excitement out there in Jesus Music land, and that makes a change. 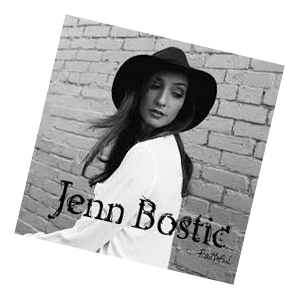 It centres around Nashville-based singer-songwriter Jenn Bostic. She makes the type of comment that always interests journalists, so try this one for size : “If I didn’t have God in my life, I don’t think I’d be in this industry. ?” Just as well, then. Although the pushy publicity tells me she has won five independent Country Music Association Awards her album Faithful is hardly in that genre. Her overall feel on this album is rightly, as the press handout says, more poppy, but she’s not a Taylor Swift, yet. For much of the album it’s your basic singer-songwriter realm that passes under the generous description of ‘contemporary music.’ As it is the album almost becomes a` promo’ for her ability to command a number of musical styles, and in the end you think “so where do you want to go vocally?’. You can say that about the set of photos that come with the album sleeve where she manages to seem different, admittedly attractively so, in a variety of pic shots. Vocally, pleasingly, creatively, for me, she shines best when she’s close to mic and so shows warm and persuasive vocal tones, rather than the more pacey songs where she can become somewhat plain and shrill. This is especially so in some of the earlier album tracks. When she vocally floats to higher regions, as in say ‘Shiny New Toy’ her distinctive edge becomes lost, the voice becomes sharp and colourless, but arguably not helped sometimes by some very un-catchy refrains, as can be found the title track. For a lovely moment try ‘Little Grace’ where all the elements from composition to vocal to music arrangement blend so well, and on this alone she would interest a record company. ‘I Will Follow’ has a catchy rhythmic feel, arguably the most commercial cut, but then also bidding for the ‘commercial’ award there’s the gospel choir and not surprisingly gospel feel of ‘What Love Feels Like ‘ which does have a useful sing-a-long potential in its refrain. On the basis of this reasonably good album it can be said she has no ‘killer’ of a song, and the song standard is varied. Admittedly it’s never easy reviewing a comparatively new artist after say hearing the latest album How Big How Blue How Beautiful from Florence, and the Machine, and then admiring her set at Glastonbury,(ell on the tele) for she’s grown in assurance and stature, whether live with that stage prowl and the gorgeous hair catching the lights or on the grooves vocally powering through. This time around on the third album in the so far limited catalogue she’s celebrating life rather than the frequent dwelling in past times on death. It was way back in 2009 where you can find the debut album Lungs, then came Ceremonials. 0n the newie she focuses on the process of living and sings in terms of loving the world rather than pushing it aside. In interview she names her pick cut is the title track with trumpets to lift you, and indeed according to her, into a moment of sheer joy. 28 year-old Ms Florence triumphs. Critics in their reviews see a new spiritual depth and mature awareness. 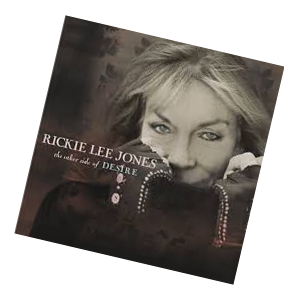 The new Rikkie Lee Jones album The Other Side of Desire contains the track Blinded by The Hunt , a cut that is seen by one reviewer as a slinky slice of secular Southern gospel, a sister song perhaps, to Matthew E. White’s Will You Love Me. For fans of James Taylor, the man who sang the song liked by religious groups, You Need A Friend ) although it was written by Carole King,) the July Uncut magazine takes readers through the whole Taylor discography. This article first appeared in THE Methodist Recorder. This suggested list only deals with books that cover music history rather than studies of individual bands, groups, and artists. It does not cover books that give artist histories or record catalogues. You are invited to send in your choice, and if so, say why, and what there is in your selected title that is important. This list is a list and is not in any order other than alphabetical. ALBERT GOLDMAN – FREAKSHOW. Misadventures in the Counterculture 1959-1971. DORIAN LYNSKEY 33 Revolutions per Minute. STEPHEN SPITZ – Barefoot in Babylon The Creation of Woodstock. BOB STANLEY – Yeah. The Story of Modern Pop. DOWN FAR WEST OF BRITAIN THIS SUMMER? The Jasp has arranged these happenings. Refreshment and light food available or being own food, eat and listen. CHAPEL STREET METHODIST PENZANCE 8 p.m.
CHAPEL STREET IS THE TOWN’S MOST HISTORIC AND BEAUTFUL STREET.. The church is open on Wednesday and Saturday morning with refreshment provided. 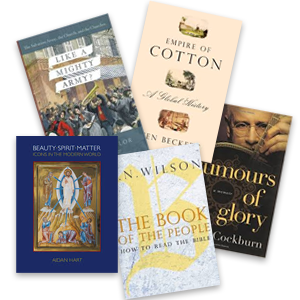 It has two Sunday morning services – 9.30 for contemporary and 11 for classical worship. he minister is Alastair Bolt. Further enquiries ring 01836740907. THUSDAY AUGUST 20 AT 7. 30P.M. ST IVES MALE VOICE PRAISE CHOIR. AUGUST 27. 28 29. 28 - 8 p.m. Matinee 28: 2.30. TONY JASPER (Actor, Broadcaster. Playwright BBC 1 Billy Bray. Formerly R1. BFBS) LINDA SLADE , Wycliffe. Casualty. London West End. Toured internationally. Actor, director, voice coach Los Angeles).